Your home’s insulation is key to making it more comfortable and protected from outside elements. When it’s failing, however, your home is vulnerable to cold leaking in winter or cool, comfortable air escaping in the summer. This is especially important in existing homes. 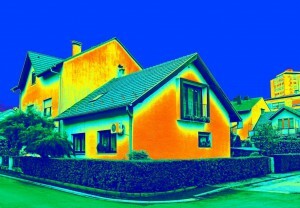 A home energy audit can help find areas of your home that need a little help in efficiency. Common areas for leaks and gaps in your home include space near your windows and exterior doors. When your furnace is running but you have to keep reaching for blankets, this may be a sign that you could have an insulation problem. This problem could in turn lead to higher energy bills each month. Replacing or adding additional insulation in your walls and near doors and windows can help make your home more comfortable while saving you money on your heating and cooling bills all year long. A home energy audit can help you identify the areas of your home that could use more attention or that have room for improvement. This process will not only help to make your home more comfortable and efficient, it will help make your home more desirable to potential homebuyers if you ever put it on the market. When you hire a company to perform a home energy audit they’ll likely give you recommendations or changes you can make and products you can use to make the temperature in your home more comfortable and regulated, saving you money on your energy bills. Whether you opt for a home energy audit or not, it’s important to understand that there could be some serious energy inefficiencies in your home. The best ways to prevent high energy bills is to make sure your home insulation is performing well and that your home isn’t full of gaps and cracks. Call Green Comfort Solutions today for to schedule a home energy audit or for any insulation repair or installation needs. Click here for a free quote.